THE MOST ELITE TRAINING. THE MOST EXTRAORDINARY TEACHERS. For over 20 years, Equinox has raised the bar in Group Fitness and Personal Training programming. We stay ahead of the curve with innovative, results-oriented training techniques. And we cultivate inspiring leaders. 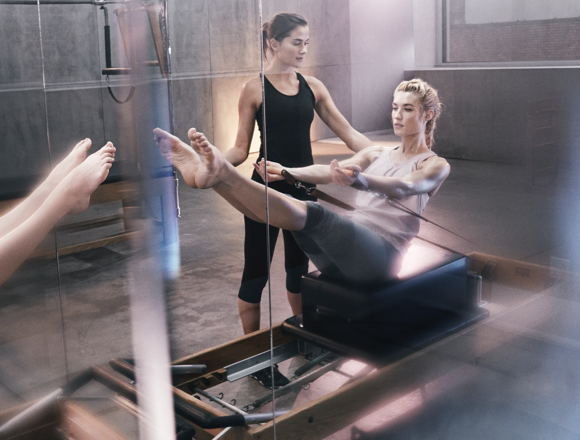 Equinox Education consists of Pilates Teacher Training, the Group Fitness Training Institute (GFTI) and the Personal Training Academy. Programs are held year-round at our Equinox locations nationwide. We offer students the path to explore their fitness passion in Pilates, Personal Training, Group Fitness, or Yoga. Experience a rigorous, science-backed education that helps you take your clients to new heights with the Equinox Personal Training Academy. Leave no muscle untargeted. Pilates Teacher Training Institute offers the latest in the study of conscious movement. You are their ultimate guide. Learn how to go with the flow with Pure Yoga Training—and help countless people reach their zen.